Have you or a loved one been injured by a dangerous or defective product? No Expenses or Fees Unless You Win Your Gadolinium Lawsuit! Gadolinium is a heavy metal, and this substance has long been used during magnetic resonance imaging (MRI) scans to allow physicians to generate clearer views of patients’ soft tissue. However, varying amounts of gadolinium can remain in the body long after the MRI procedure, exposing patients to the risk of gadolinium toxicity and a condition known as gadolinium deposition disease. The U.S. Food and Drug Administration recently ordered manufacturers of gadolinium-based contrast agents (GBCAs) to update their warning labels and issue Medication Guides for patients undergoing MRI procedures because of the potential for gadolinium to be retained long term in patients’ bones and organs, including the brain. Several manufacturers have since sent warning communications to members of the medical community regarding the risks of GBCAs. These are dangerous drugs, and injured patients are looking for justice. If you underwent an MRI using a gadolinium-based contrast agent and soon afterwards developed unusual symptoms consistent with gadolinium deposition disease, contact Parker Waichman LLP today. Our attorneys are filing lawsuits and securing settlements on behalf of people injured by gadolinium-based contrast agents, and we may be able to help you, too. What are Gadolinium-Based Contrast Agents? Gadolinium is an earth metal that responds to magnetic energy. Before an MRI, physicians often inject patients with drugs containing gadolinium to create visual “contrast” within a patient’s body during the imaging procedure. This contrast makes soft tissues stand out in the imaging, assisting physicians in identifying potential problems, like tumors. Gadolinium is usually eliminated from patients’ bodies by way of their renal systems. Following the procedure, patients’ kidneys will turn the gadolinium into waste and filter most of it out of patients’ bodies in their urine. For this reason, the FDA originally believed only patients with comprised kidney function were at risk for gadolinium retention. More recent studies, however, show that even patients with normal kidney function are at risk for gadolinium deposits remaining in their bodies well after their MRIs. In fact, the FDA has said gadolinium deposits might remain in otherwise healthy patients’ bones and brains for years after their MRI procedures. This retention of gadolinium deposits is known as gadolinium deposition disease when it causes certain symptoms in those who have been exposed to GBCAs. As time goes on, the gadolinium remaining in patients’ bodies can become unbonded from its protective agents, which can lead to gadolinium toxicity or the development of a condition called nephrogenic systemic fibrosis (NSF) that affects the skin and internal organs. This seems to occur more frequently with linear GBCAs than macrocyclic GBCAs, and more frequently in patients who have compromised kidney function. Patients who develop gadolinium deposition disease may experience some symptoms similar to those of NSF or may have a different combination of symptoms. Some patients are at an increased risk of developing gadolinium toxicity and gadolinium deposition disease, including patients who are pregnant, pediatric patients, patients with inflammatory conditions, patients with compromised kidney function, and patients who need repeated or regular MRIs. Some research has also suggested that European-origin Caucasian women are more susceptible to developing gadolinium deposition disease. FDA and GBCA manufacturers have said there is no proof gadolinium deposits are dangerous to healthy patients. But our clients are coming to us with real medical issues, and they need someone to advocate for them. Lawsuits are already being filed against the manufacturers of GBCAs, and our firm will stand up for you and your family. Can Gadolinium Deposition Disease be Medical Treated? Currently, there is no established treatment for gadolinium deposition disease. Physicians can use specific treatments to address the symptoms, but they do not have a proven treatment for combatting the source: gadolinium deposits. Right now, FDA is simply recommending ways to avoid the disease, like administering macrocyclic GBCAs instead of linear GBCAs and avoiding unnecessary MRIs. The FDA is also taking steps to raise public awareness of the potential for gadolinium to remain in the body so that patients can have informed risk-benefit discussions with their doctors. In the face of illness and no solid treatments, you likely feel like you have nowhere to turn. Parker Waichman LLP is fighting for justice on behalf of people injured by gadolinium. We are seeking to hold the manufacturers responsible for distributing defective and dangerous drugs without informing doctors and patients about all of the risks. Our award-winning nationally recognized product liability attorneys will help you seek the compensation you deserve and the closure you need to move forward. Statutes of limitations apply to all drug product cases and can effectively bar your opportunity to file your claims in court if you delay too long. The statute of limitations applicable to your Gadolinium Deposition Disease case depends on where you live, where you lived at the time you underwent your MRI and the specific details of your potential claims. Many factors can change the date by which you need to file. Correct calculation of your statute of limitations and the deadline to file your potential claims in court is vital to your chances of recovering damages for your injuries. For this reason, you need to act quickly to hire knowledgeable and skilled counsel to represent you. Time could be running out on your ability to collect your deserved compensation. Gadolinium Deposition Disease Lawyers. Chuck Norris made national news when he filed a $10 Million lawsuit against several health-care companies alleging that his wife had been poisoned by Gadolinium during her Magnetic resonance Imaging scan (“MRI”). Gena Norris received Gadolinium intravenously during her MRI scan. She was not warned of the risks of Gadolinium. She developed Gadolinium Deposition Disease. Gadolinium Deposition Disease has caused her to sustain long-term damage. Did you or your loved one have an MRI and suffer serious side effects? Parker Waichman LLP has produced exceptional results for our clientele throughout the United States. Our law firm has recovered more than $2 billion in jury awards and settlements on behalf of for those injured by dangerous products and against big corporations with “Dream Team” defense lawyers. Call Parker Waichman LLP and let our attorneys help you recover money to compensate you for medical bills, treatment costs, lost wages, pain and suffering and any other losses which could be compensable by filing a Gadolinium injury lawsuit. Parker Waichman LLP has the resources and track record your case deserves. Call Parker Waichman LLP today by dialing 1-800-YOURLAWYER (1-800-968-7529) for your free case evaluation. What is Gadolinium or a Gadolinium-Based Contrast Agent (GBCA)? Gadolinium is a rare earth metal that is used during the MRI scan. When Gadolinium is used for an MRI, the patient is given Gadolinium intravenously. Gadolinium or Gadolinium-Based Contrast Agents (GBCAs) are used during the MRI scanning process when the radiologist wants to alter the contrast of the Magnetic Resonance image. Gadolinium-Based Contrast Agents (GBCAs) better enhance the resolution of the body’s organs and surrounding tissues during an MRI scan. Gadolinium is typically used while the MRI scanning procedure is already in progress. Gadolinium-Based Contrast Agents (GBCAs) come in two chemical structures: linear and macrocyclic. Linear Gadolinium-Based Contrast Agents result in more retention and retention for a longer time than macrocyclic GBCAs. Read the FDA’s Post-market Drug Safety Sheet on Gadolinium-Based Contrast Agents. On December 12, 2017, the U.S. Food and Drug Administration released a new safety announcement regarding the use of all Gadolinium-based Contrast Agents (GBCAs) for use in Magnetic Resonance Imaging (MRI). 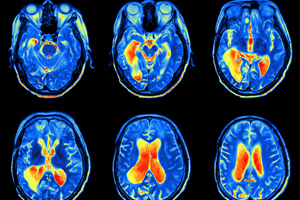 The U.S. Food and Drug Administration (FDA) stated that they now require new safety measures and a new class warning for gadolinium-based contrast agents (GBCAs). The FDA said concerns over the issue of Gadolinium remaining inside a patient’s body, especially the patient’s, for several months or even many years after receiving a Gadolinium-based Contrast Agent. In the warning, the FDA stated that the one confirmed “adverse health effect related to gadolinium retention” is a condition called nephrogenic systemic fibrosis (NSF). 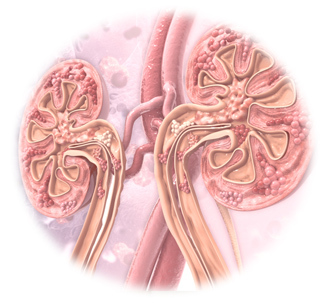 Nephrogenic Systemic Fibrosis (NSF) has been determined to develop in patients who have a pre-existing history of kidney failure. The FDA now requires health-care professionals to contemplate the retention characteristics of each GBCA when selecting which GBCA for patients who may be at higher risk for gadolinium retention. These patients include those requiring multiple lifetime doses, pregnant women, children, and patients with inflammatory conditions. Minimize repeated GBCA imaging studies when possible, particularly closely spaced MRI studies. However, do not avoid or defer necessary GBCA MRI scans. On July 6, 2017, the European Medicines Agency (EMA) released an Assessment Report stating that under Article 31 of Directive 2001/83/EC and resulting from pharmacovigilance date, the use of Omniscan, Optimark, and Magnevist and three linear GBCAs in MRI or related procedures have been suspended. When a patient’s body does not urinate the Gadolinium agent, this condition is known as the “Gadolinium Storage Condition“. There are no studies that discern the effects of a sustained and cumulative Gadolinium exposure within the human body. Lately, there have been patients complaining of severe and chronic symptoms subordinate to gadolinium exposure and retention support groups dedicated to gadolinium-toxicity. The group participants have complained of numerous, serious complications or side effects such as bone and joint disorders and changes in skin color or elasticity. Currently, there is a medical phrase used to describe these symptoms and reactions to Gadolinium-related medical condition, “Gadolinium Deposition Disease.” Parker Waichman LLP will address the gadolinium-related illnesses, side effects, and toxicity disorders in the web page. The safety of Gadolinium-based Contrast Agents (GBCAs) is under new scrutiny due to the issue of deposits of Gadolinium detected in patients long after receiving Gadolinium for an MRI scan or procedure. Gadolinium deposits had been identified and quantified in the bones and brains of patients who have a healthy renal function. It was previously believed that only patients with significant kidney damage sustained such retained accumulation of Gadolinium-based Contrast Agents in the body. However, recent information and complaints made by patients with healthy kidney function have caused the European Medicines Agency (EMA) to suspend the use of many GBCAs and the FDA to issue new safety warnings. “Gadolinium Deposition Disease” is a disease in which a patient who has been given a Gadolinium-based Contrast Agent, is unable to pass the metal through the process of urination, accumulates levels of Gadolinium in the body or brain and the patient suffers serious side effects. It is believed that Caucasian women of European-origin are more susceptible to acquiring Gadolinium Deposition Disease than other sub-groups of the population. According to a study by the National Center for Biotechnology Information, the following symptoms of Gadolinium exposure persisted beyond three months of exposure. In November 2016, the Gadolinium Retention Evaluation Consortium (GREC) was formed in Naples, Italy to enable an international collaboration between academic researchers and the manufacturers of Gadolinium-based contrast agents. The Gadolinium Retention Evaluation Consortium noted that there are a wide variety of adverse effects that could cause toxicities and lead to patients developing Gadolinium Deposition Disease (GDD). Currently, there are no treatments available that cure Gadolinium Deposition Disease. It is believed that each patient develops his or her unique immunologic response to the Gadolinium present within their own body and that the genetic susceptibility of developing the disease varies from patient to patient. Some recent research suggests that the corrective treatment of Gadolinium Deposition Disease is using a combining re-chelation therapy with immune system modulation. However, there is no specific medical guidance to treat or cure Gadolinium Deposition Disease, and additional research and studies need to be performed. It is also believed that the use of antihistamines and anti-inflammatories could diminish the severity of the Gadolinium Deposition Disease symptoms. Another treatment option that is showing signs of promise is the use of targeted host-immunomodulatory agents. The process of determining if you qualify for compensation due to your Gadolinium-related injuries requires a thorough and intensive fact-finding investigation. 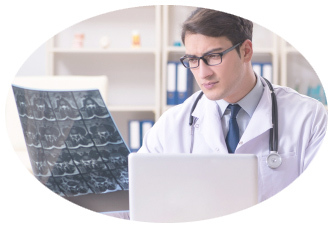 It is crucial to your case that there is a causation link found between your Gadolinium injuries and/or Gadolinium-related disease and your history of Magnetic Resonance Imaging or Cardiovascular Magnetic Resonance procedures. Parker Waichman LLP will perform this intensive investigation on your behalf. Whether we can take your case or not, you will not be charged for this “fact-finding” investigation of your claim. If we can accept your case, there is still a chance that your claim against the manufactures of Gadolinium-based Contrast Agents could be unsuccessful. You can be assured that our attorneys will provide you with competent and informed legal advice regarding which legal options are right for you. Our legal team will thoroughly review your medical records, interview your treating physicians, and explain all of your legal options. Another significant consideration as to whether you have a claim is timing. Each state has a unique set of time requirements in which you must file your lawsuit to recover monetary damages. If the statute of limitation has lapsed on your case, you will be unable to file a lawsuit to recover monetary compensation. The time to call Parker Waichman LLP is now. Do not delay. Call us today by dialing 1-800-YOURLAWYER (1-800-968-7529) for your free case evaluation. Why Choose Parker Waichman LLP to Handle Your Gadolinium Lawsuit? At Parker Waichman LLP, our caring and professional litigation team understands you want full compensation and justice for your injuries. By placing your case in our hands, you can be assured that only the most experienced attorneys from our firm will advocate for you. Parker Waichman LLP has garnered numerous accolades and awards for superior trial litigation. A listing in the “Best Lawyers” which is also determined by extensive peer review. If you or your loved one had an MRI and are suffering from severe side effects or have been diagnosed with a Gadolinium-related disease, contact our friendly and professional law office today and find out if you are eligible to file a Gadolinium lawsuit. Our highly experienced product liability lawyers at Parker Waichman LLP are ready to fight for your FULL compensation. Contact our law firm today by filling out our online form or by calling 1-800-YOURLAWYER (1-800-968-7529) for your free case review.